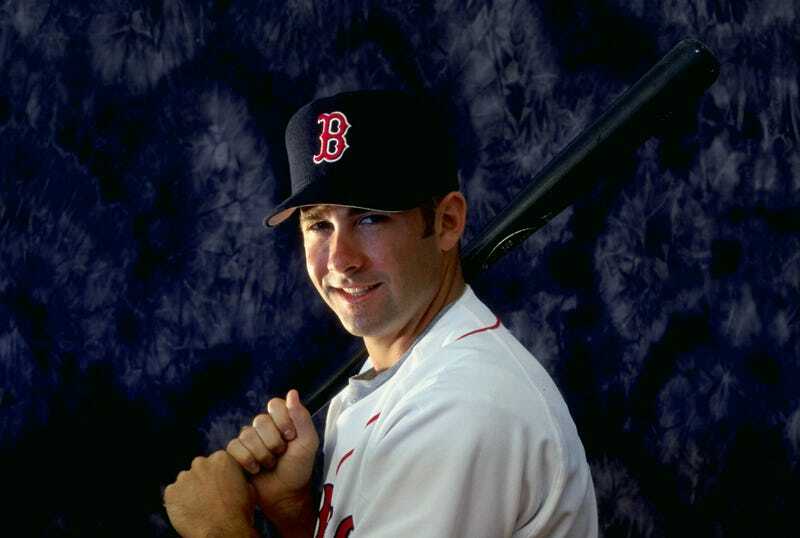 Former Red Sox infielder and current WEEI yakker Lou Merloni is perhaps best known in Boston for being from Framingham and for being Nomar's friend. But in addition to those two distinctions, he did also manage to utility-guy his way through 423 games over the course of nine seasons in the Big Leagues. His career batting average of .271 is, admit it, about 50 points higher than any of us would have guessed. So props to Lou. Not a lot of pop in that .271, though, as only 88 of his 294 hits went for extra bases, and he never hit more than four home runs in a season, finishing with a career slugging percentage of .384. So we've got a couple major issues settled: Lou carries a baseball bat in his trunk, and Lou does not like his precious commute impeded by civil disobedience. The one thing we're not quite sure of, though, is how worried anyone should have been by the prospect of a guy who couldn't hit maybe trying to hit them.